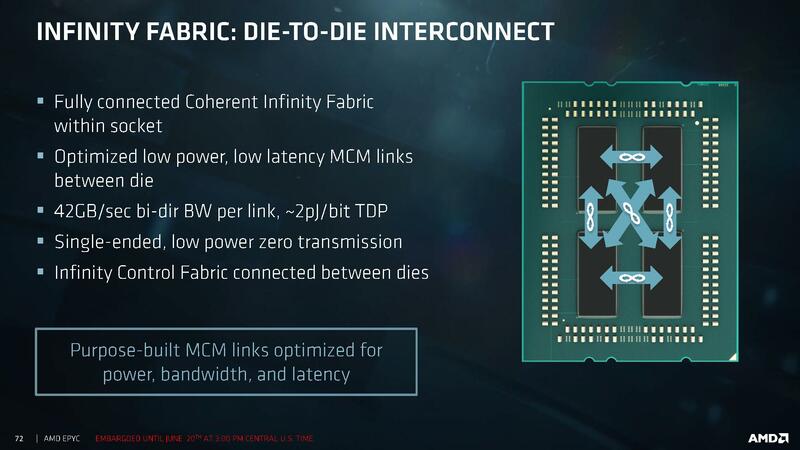 For this to make sense, look at the EPYC's infinity fabric. You see how all the dies are connected to one another, why can't this work for compute clusters? Instead of having 1 master processor and multiple slave processors, why don't we have them equally connected so any processor can talk to all the other processors directly? There are some instances where this is true, but this goes back to the other thread that you and I discussed clusters, clusters are not one operating system. A multi-CPU server such as a HPE Superdome has a fabric that allows units of 4 CPU sockets to connect to other units of 4 socket hardware. You can create hundreds of sockets in a single OS instance. You have to separate the concept of a cluster from a SSI single system image supercomputer. They are very different architectures. Wow thanks man for your extensive knowledge on supercomputers and for fully answering my questions! Question Is this safe to use as a cleaner to get thermal paste off my CPU? Question How does Ryzen Master overclock my Ryzen 5 2600 without a motherboard that supports overclocking? Which CPU Cooler: Cooler Master TX3-Evo or H410?